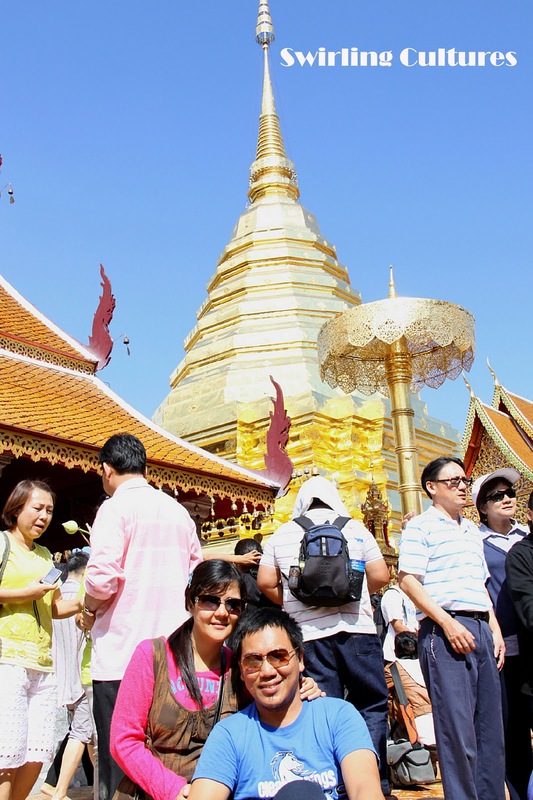 They say that a trip to Chiang Mai without Doi Suthep as part of the itinerary would not be complete. 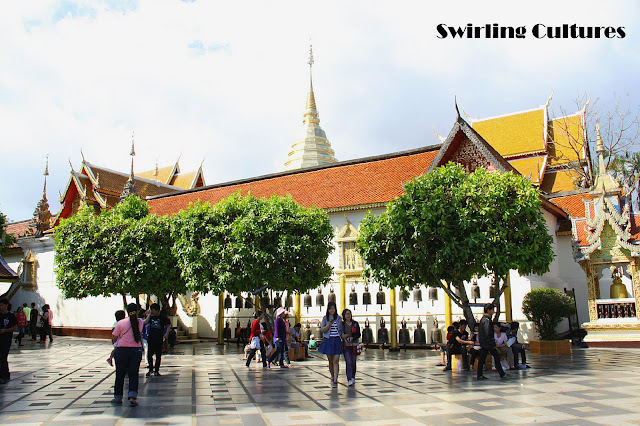 This mountain where the Wat Phra Thart Temple stands is viewed by Thai people as a holy place for more than twelve hundred years. It is the center of Buddhism in Lanna (Kingdom of the present day northern Thailand) built in the late 14th century under King Geu Na. Because of the number of people visiting this holy place, you will surely have to wait for the cable car (if that's what you want). The wait for the cable car will be rewarded though by the grandeur of the magnificent view of the city, and the intricate designs of the temple. There were also living quarters for the monks and a school for novices where they study the teachings of Lord Buddha. 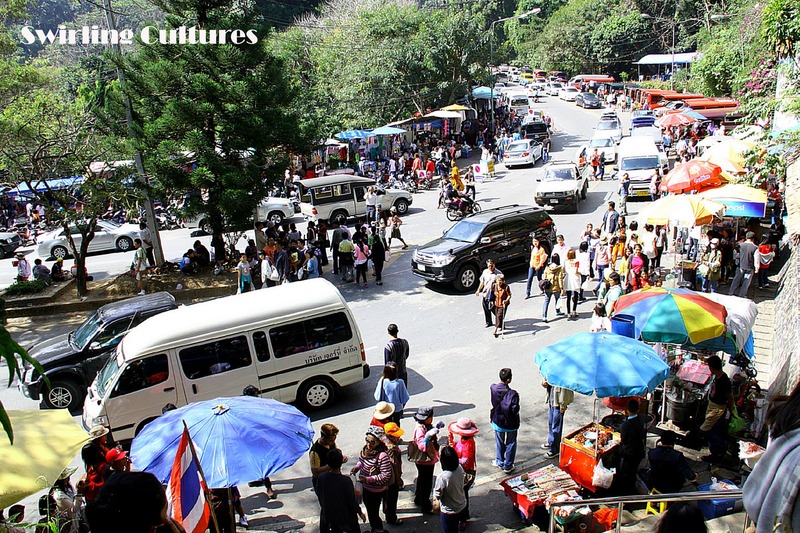 Doi Suthep is best visited during the winter because of the cool breeze especially at the summit. A perfect getaway in a tropical country that is Thailand. So, what now? I'll see you there, then? I love this post on Thailand. Never been there and supposedly, I should have gone there straight from my Cambodia jaunt but for the lack of time, I forgo it. I will go back to Cambodia and this time, I will pass by Thailand. I will be in Bangkok in early February. I am definitely putting Doi Suthep in our IT. I think if you go to Thailand without seeing temples, it's like going to NY without seeing the Statue of Liberty. Travel Asia now..I'm sure you're gonna love it. Nice to know my post helped. Include this next time and don't ever forget. Otherwise, you're gonna miss this chance again. True..Temples are Thailand's landmarks just like Statue of Liberty is in NY..Include Doi Suthep in your itin. You may want to visit Doi Inthanon as well. Also in Chiang Mai and the country's highest peak. Better to take the cable car on the way up and on foot on the way down. Unless you really can. Trust me, it's way too high hehe.. Thanks for stopping by MJ Tauyan and leaving a comment as well. And oh, for loving my blog hehe.. Some of the places you have been are still in my itinerary. Given a chance to travel the soonest time possible, I'll check these places you've mentioned. wow! we went there July of 2010 and there was no cable car yet so we had to climb those stairs! thanks for sharing, John! My curiosity is tapped by the "swirling cultures" of Thailand. Why are they regarded as "swirling"? You've a vivid, candid shots of every picture you've posted here. Two thumbs-up! I was able to visit Thailand too when I was younger and I remember commenting to my mom, "traffic's just like the Philippines!" Haha. Those are really nice photos! Great post!